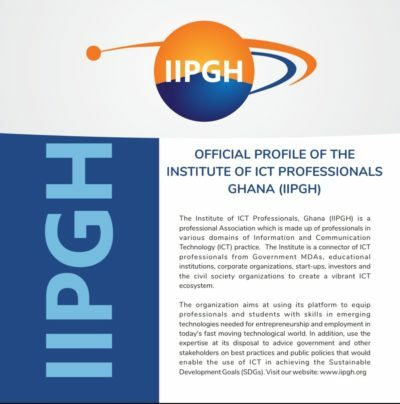 As part of the aims of the Institute of ICT Professionals Ghana (IIPGH) to create a vibrant ICT ecosystem and prepare people for the emerging digital economy, IIPGH sets the pace to launch python programming training for its members and non-members (students, graduates, professionals) as the foundation step towards skills development in Data Science. 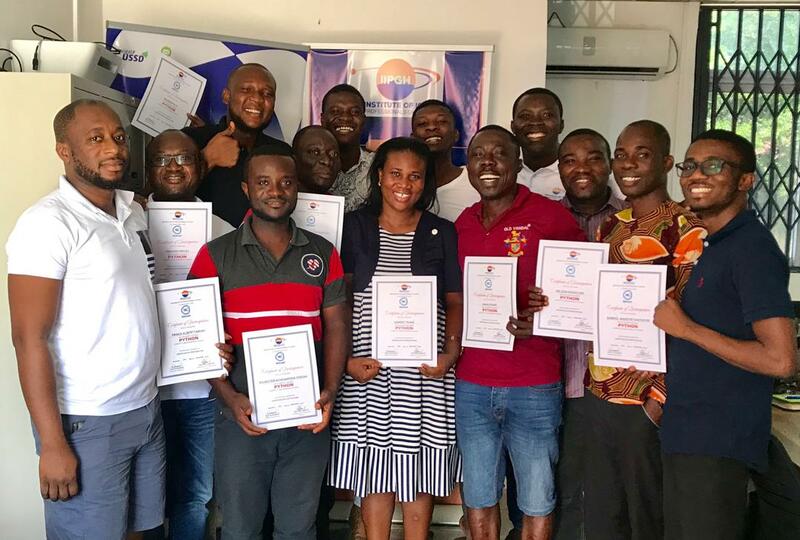 The first phase of the 5-week intensive training started on the 3rd October, 2018 and ended on the 3rd November, 2018 at IIPGH office, East Legon, Accra. 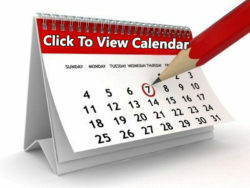 The 5hours Saturdays only classes has been designed to enable professionals participate in this essential training from 10am to 3pm. The training did not just introduce the professionals to python programming language but also provided the entry points into Data Science, Artificial Intelligence, Big Data, Cloud Computing, all of which happens to be the emerging technologies in the 21st century. A programming language is a set of instructions used to produce various kinds of output to solve a problem. Python, being an example of a programming language is dynamic, flexible and simple to use and learn. Python programming is used in a lot of institutions like National Aeronautics and Space Administration (NASA), PayPal, Google, Facebook, Instagram, etc. Learning python programming helps one bring all imaginations and ideas to live through coding. The more imaginative one becomes, the more creative they become hence, helping solve problems creatively. The world keeps growing and expanding. The more it expands, the more chaotic it becomes, the more data gets bigger and disorganized. Tools like Excel, SPSS among others have been used to analyze data however their capacity to hold big data keeps draining. As such, analyzing data and even using it to predict the future has evolved through data science that is the use of data to solve problems around us. Data is the new gold this is why IIPGH has started this initiative. The Executive Director of the Institute of ICT Professionals Ghana Mr. David Gowu in awarding the certificate to the first cohort of the python programming training admonished the students to take relevant data from their institutions and apply the skills acquired to analyze such data. He indicated that organizations are sitting on useful data that would help their businesses however it will take professionals with data science skills to process the data for the organization to derive business intelligence from it. 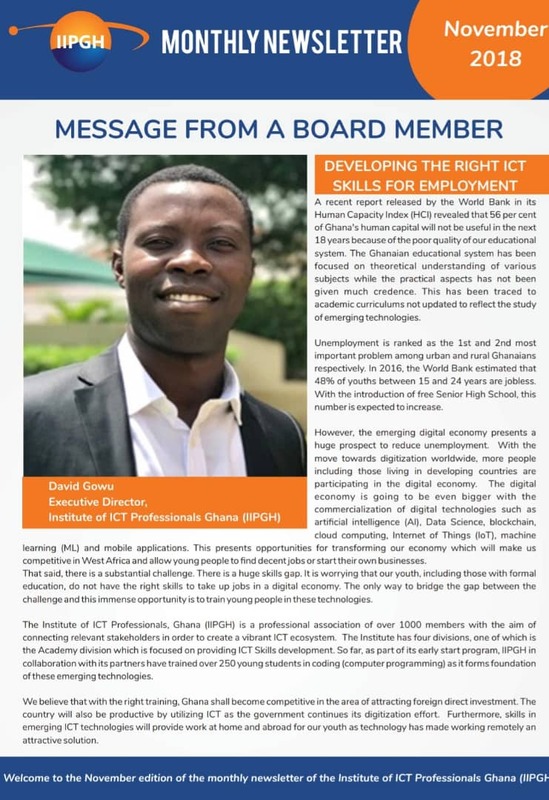 Mr. Gowu reiterated the commitment of IIPGH to build human resource capacity in Data Science through practical hands on training, webinars, workshops and publications to drive home the importance of data and its usefulness in decision making. Mr. Dawud Mohammed the lead tutor for the training informed the participants that he would keep in touch with them and would continue to give them assignments till the next level of their 3-module course in Python programming and Data Science is done. 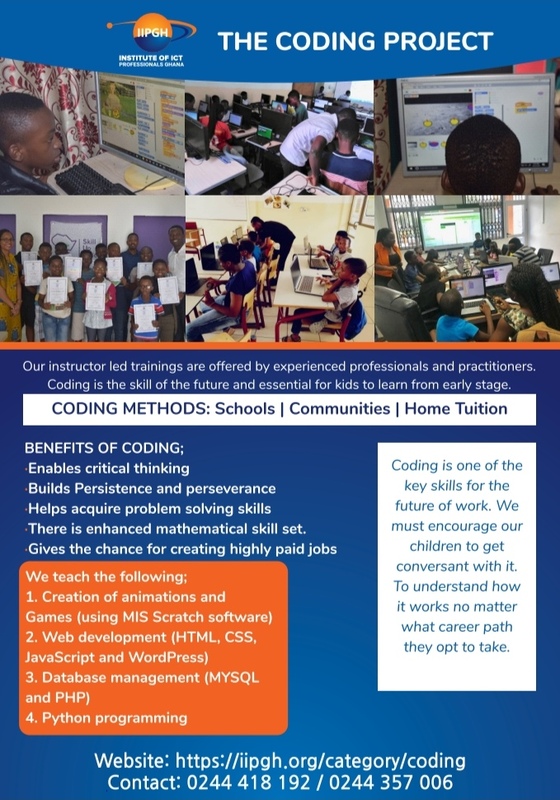 The journey is not yet over, the second phase of the python training kick-starts in November, 2018 for another 5weeks at IIPGH office, East Legon.